Today we drove around Chiang Mai to manage some thinks. First we went to make some pictures for a passport for Moun with her new name. Than we go to the government building in Chiang Mai to make the passport, after we went to breakfast in a small traditional Thai Restaurant. After breakfast we went to the Thai language center to get some information’s about a Thai course. Right now we staying at our guest house here in north Thailand and relax for a while. In the afternoon we will go to look some temples and after we visit friend at the Café Del Sol Bar in Central Chiang Mai. If you want to read all reports of this Travel blog follow this link. Today we travel from Chiang Mai to Pai. We just arrived at Stone Free Bungalows and we are tired. On Monday we came from Koh Chang to Bangkok by minivan where we had a bus conection to CM. In the morning we moved all our thinks from the Winner Inn Hotel to our new room near the German School in Chiang Mai City. Yesterday we arranged everythink: looking for a new home for the next months, take a look at our schools and meet some friends in CM. Now we (Moun and I) stay at Pai in north Thailands Mae Hong Son Province to make some days holidays till we start to study next month. Some friends ask me many time what are you doing all day, in this new tag of my Travel blog I try to give some answers and maybe open a window to other traveler and tourists why and how I’m living on the island Koh Chang in Thailand. First I want to answer the most asked question of travelers who I meet here in Thailand and South East Asia: Why you are living in Thailand? I cannot answer this question to 100 percent. After some traveling and holidays around the world I came back to Germany and don’t fell at home. Till me was 18 I done a lot of holidays in many countries in Europe: Norway, England, Holland, Belgium, of course Germany, France, Austria, Czech Republic, Yugoslavia, Spain, Denmark and Greece. With 18 I was the first time out of Europe in Morocco and South Africa. In 2004 and 2005 I spent some time in America for holidays, the Dominican Republic and Mexico Yucatan was my destinations. 2006 was my first time in Asia; I traveled with a friend to Patong Beach in South Thailand for holidays. 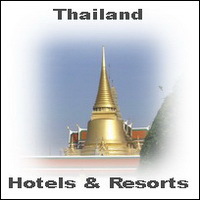 We spend here two weeks at the Phuket Graceland 5Star resort. Our first day was crazy; after we arrived we walked into the busy town on the 13th of April: Songkran Water festival! After we finish our high school in 2006 I spent 2 month with a friend in Thailand for a backpack tour through south and central Thailand, we traveled a lot. Nearly every two days we were sitting in a bus to change our destination till we were landed on Koh Chang in the Gulf of Thailand. On Koh Chang we spend our last three weeks before we went home at Thale Bungalows at Klong Prao Beach. A half year later I was back again, for 1,5 month I spend my holidays here at this beautiful place. Already in the plane I was sure that I don’t want to go back to Germany. I missed Thailand, especially Koh Chang too much. It becomes already my home. In the beginning of 2007 I quit everything in Europe to come back here. The first year I traveled a lot through South East Asia: Malaysia Peninsular, Singapore and Bali were my second big travel tour. On this trip the scuba diving become a big hobby of mine, my first license I did already on my holiday in Thailand in 2006. Click here for some scuba pictures! In the end of 2007 I start to make my Divemaster. I enjoyed the tropical diving here on this beautiful Island. But the main reason why I’m here are the lifestyle of the people and of course my wife from Nong Han who I meet in middle of 07 in Thailand. Next week we are going up to Chiang Mai and Pai to look for a small apartment for the next month. In the beginning of July we start to learn. Moun learn German and I learn Thai. Here at the Travel Diary Tag you will find from while to while some reports from traveling in Southeast Asia and from my life in Thailand. I hope you enjoy.